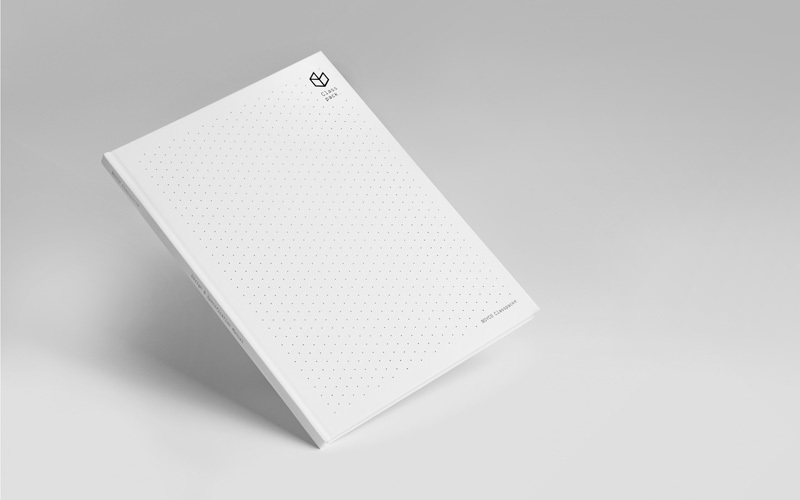 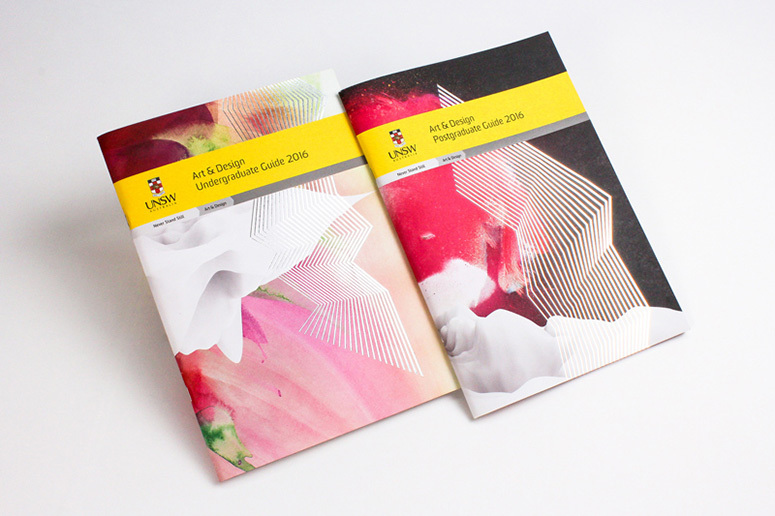 Aim: We were approached to design the 2016 Undergraduate and Postgraduate Guides for the faculty of Art & Design at the University of New South Wales, which was formerly known as College of Fine Arts (COFA). 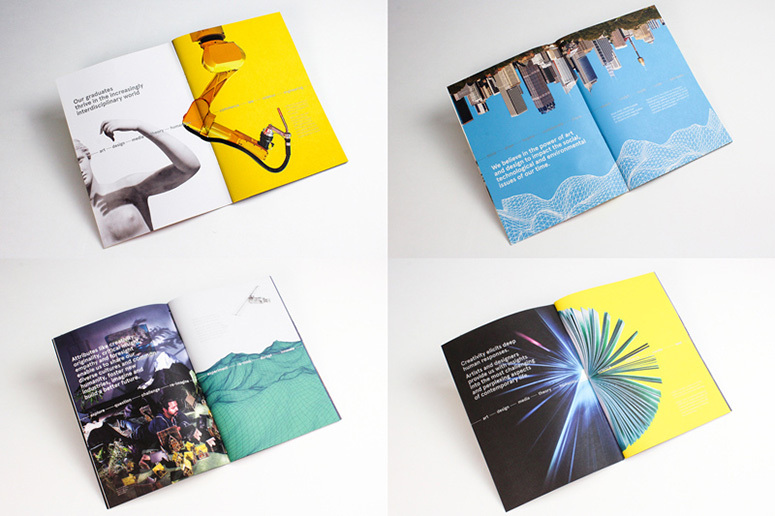 Our challenge was to design inspiring recruitment collateral that was distinct from the faculty's previous branding and embodied the new name: a more inclusive representation of the diverse curriculum. 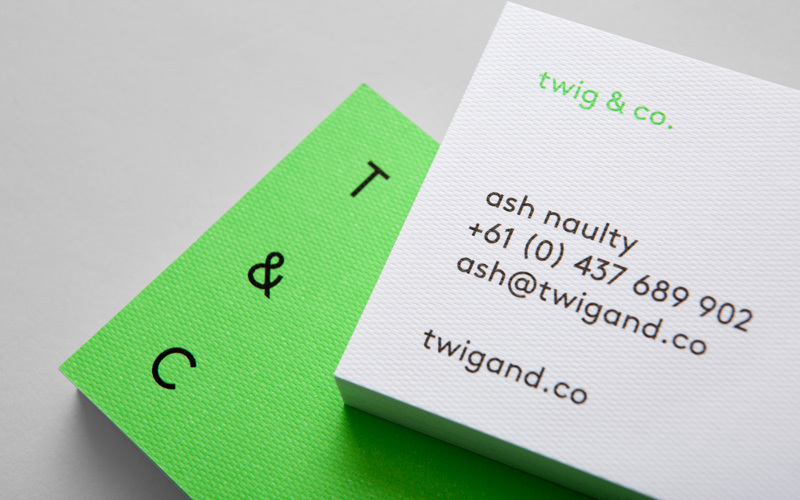 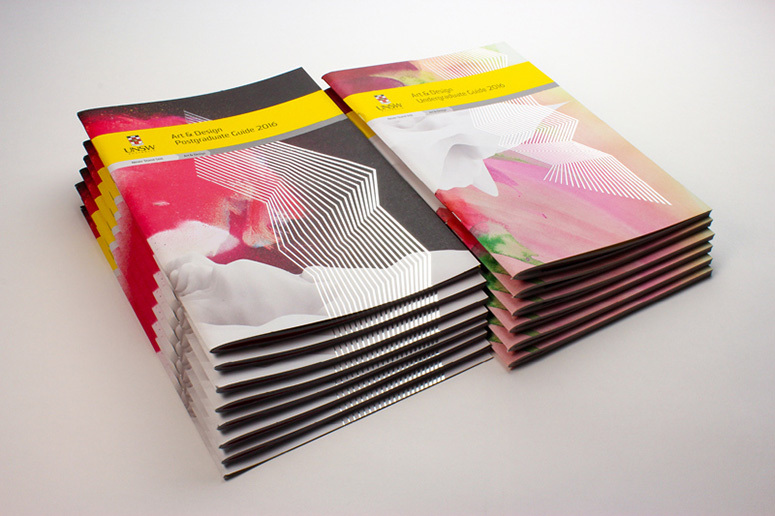 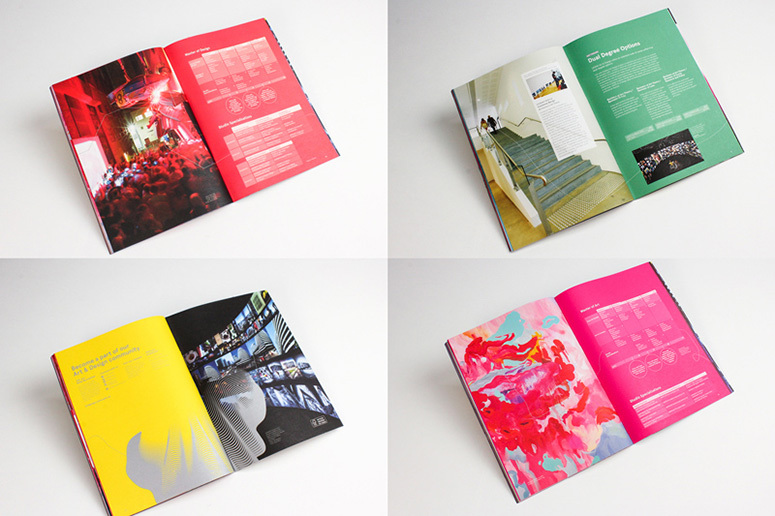 With only approximately one quarter of students currently enrolled in fine arts, and almost half enrolled in combined degrees, the concept had to incorporate a focus on new media, design, technology and collaboration with other UNSW faculties, whilst maintaining links to the campus's traditional art practices. 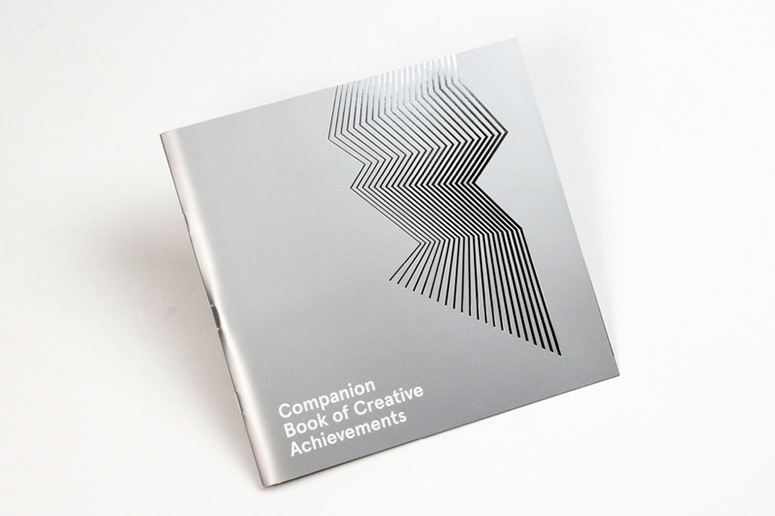 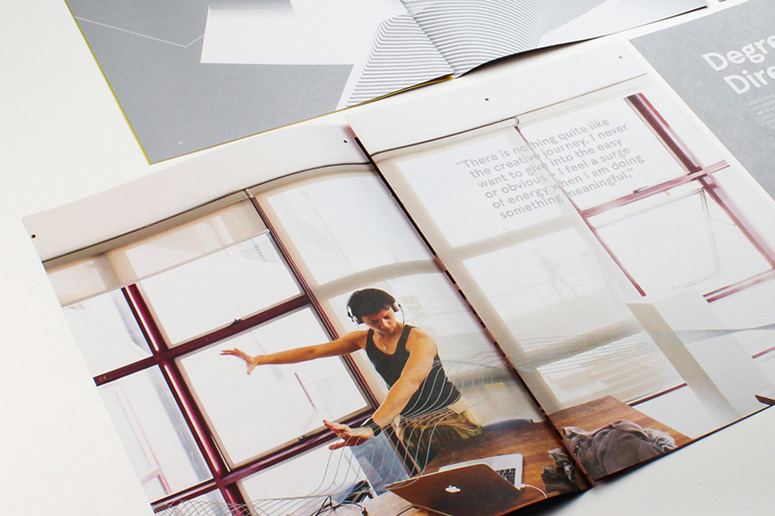 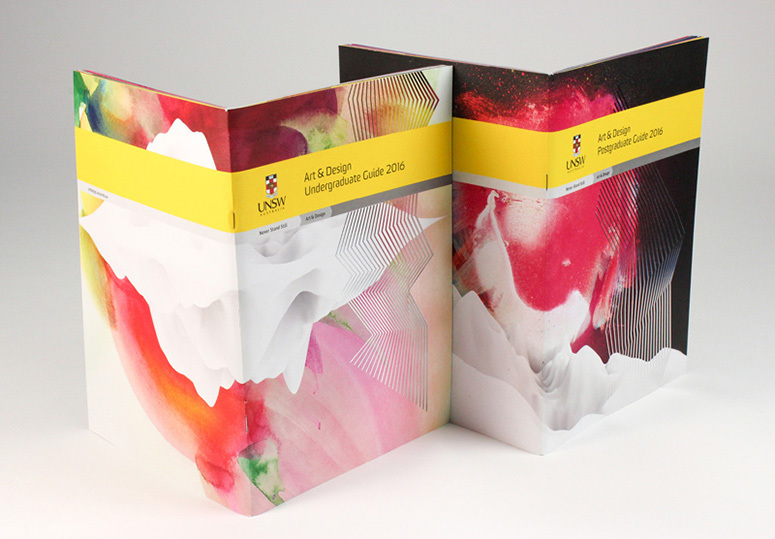 Method: Original, mix-media compositions were designed for the covers–splashes of watercolour, computer-generated waveforms and jagged silver-foiled lines–representing the multifaceted nature of the faculty’s interdisciplinary approach. 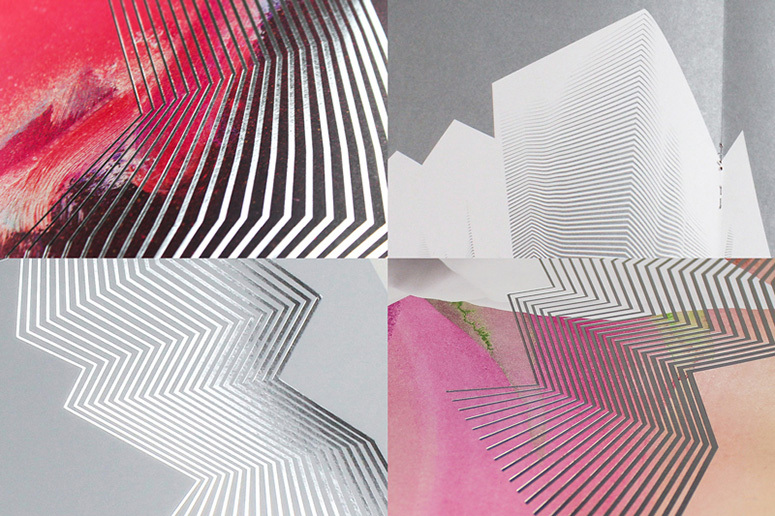 A metaphor for the creative journey, a continuous line runs from cover to cover, interacting with its surroundings and changing form according to faculty: loose and free-hand for Arts, but precise and angular for Design. 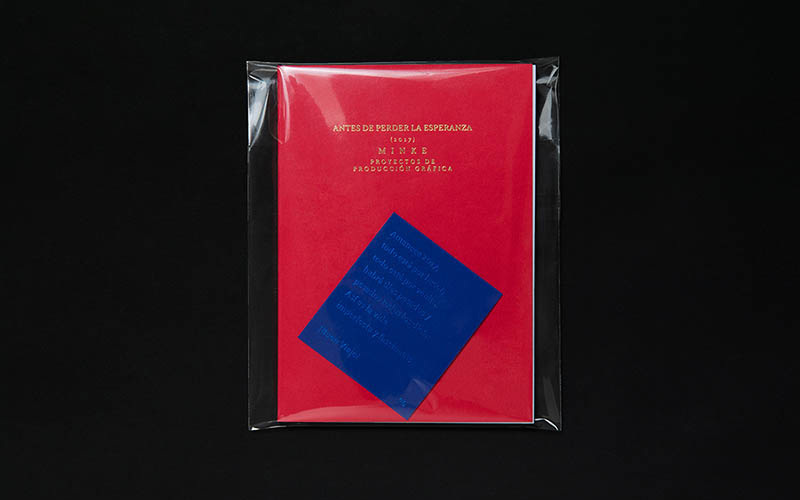 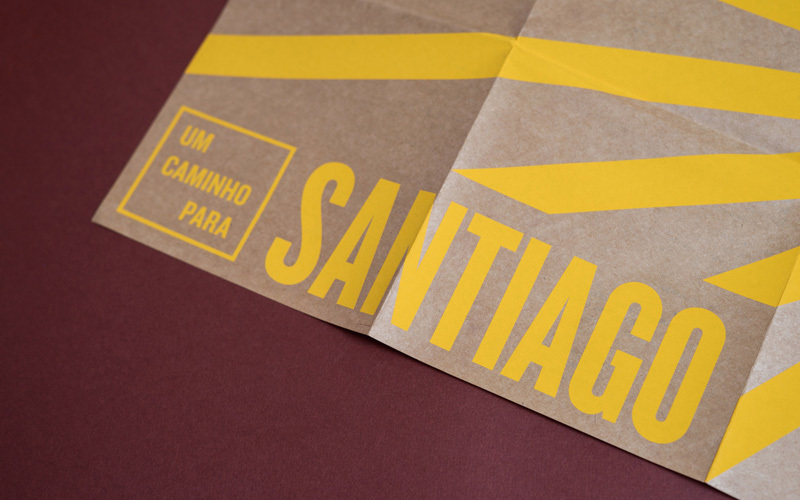 Accompanying the Undergraduates Guide, a companion book of inspiring projects showcased alumni students, and was printed on a silk stock, to contrast the more textural, uncoated paper used in the guides. 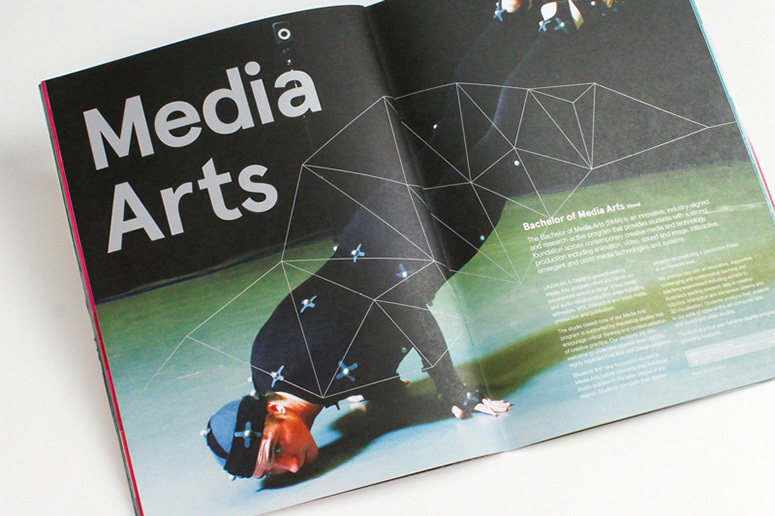 Campus photography by Brett Boardman and Britta Campion was used to bring the guides to life. 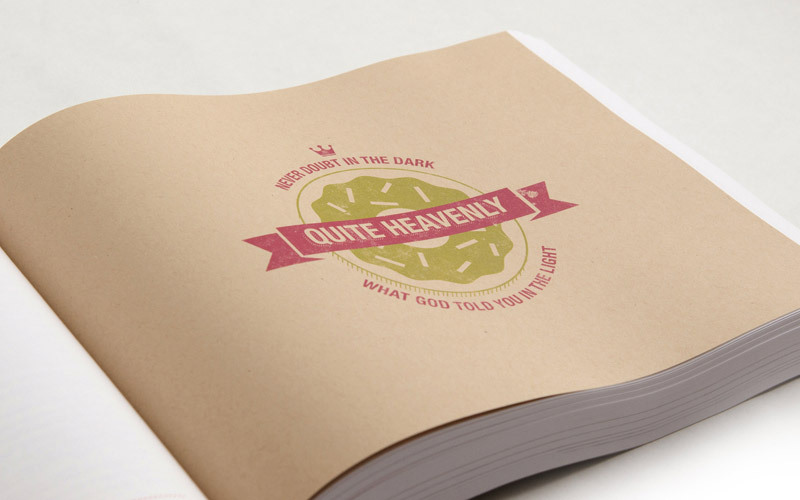 Results: Over 15,000 copies of the guides were printed on 100% recycled paper. 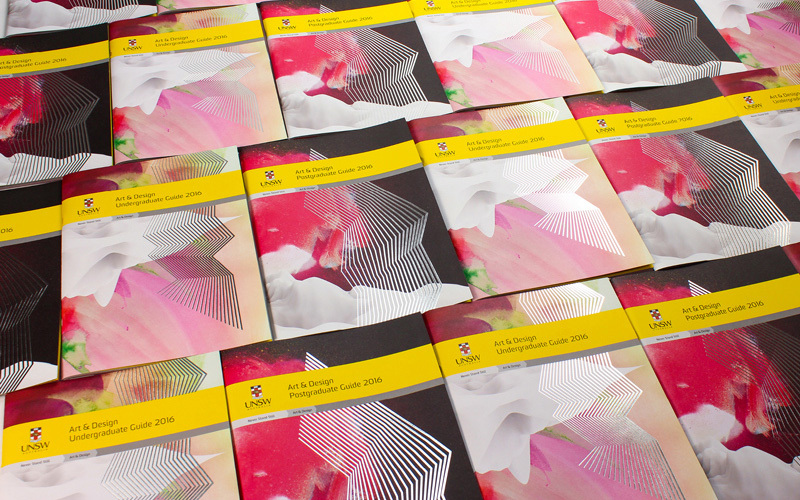 Since publication, holiday workshops and campus tours have received a 400% increase in attendance and the layout and design of the guides played a part in the redesign of the UNSW Art & Design website. 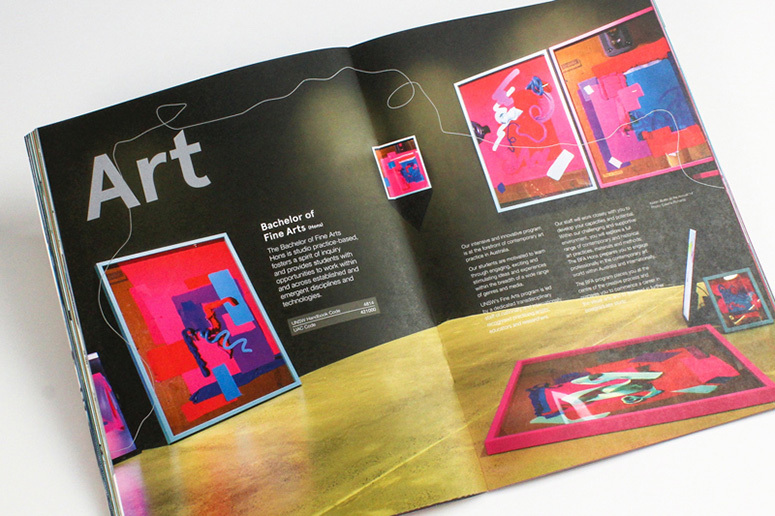 A recruitment poster was developed with student artwork on one side and infographics on the other, which was sent to high schools and used at UNSW recruitment drives. 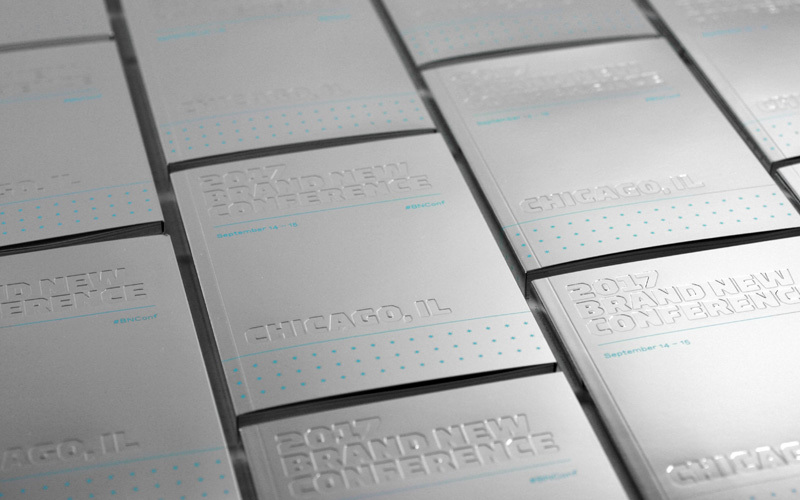 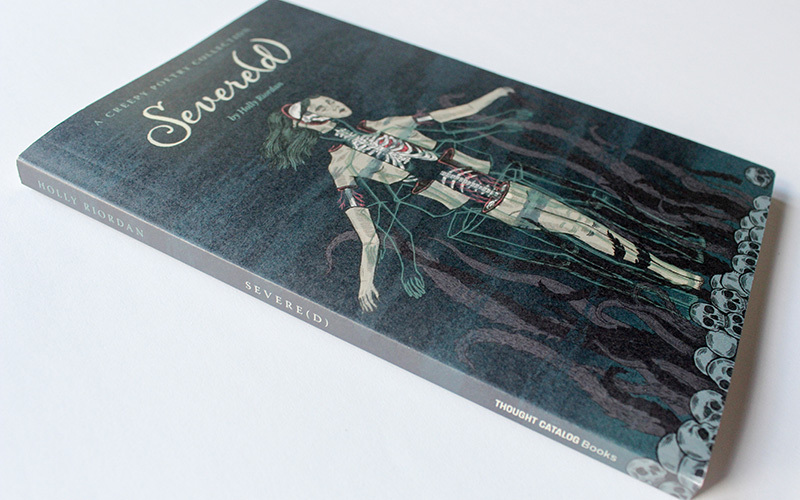 The intricate foils that appeared on the covers needed to be re-drawn to incorporate a looser spacing to avoid reproduction issues. 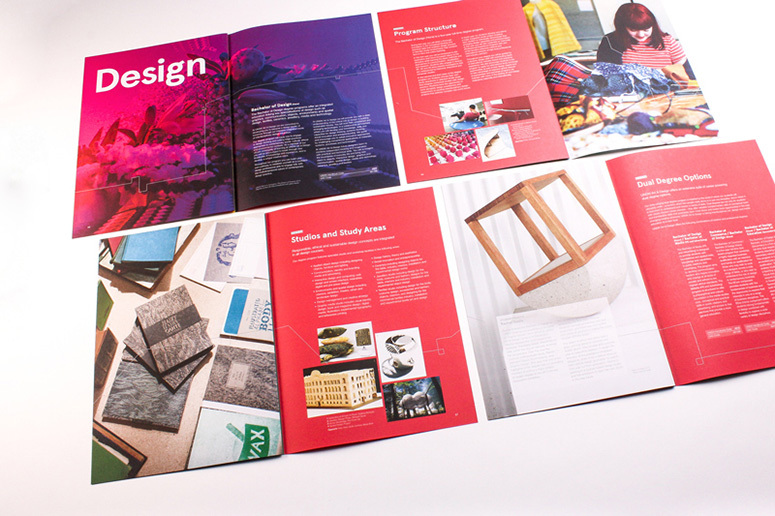 When using uncoated stock, we found that we had to pump up the colour and deepen the blacks to make sure the photography appeared as intended. 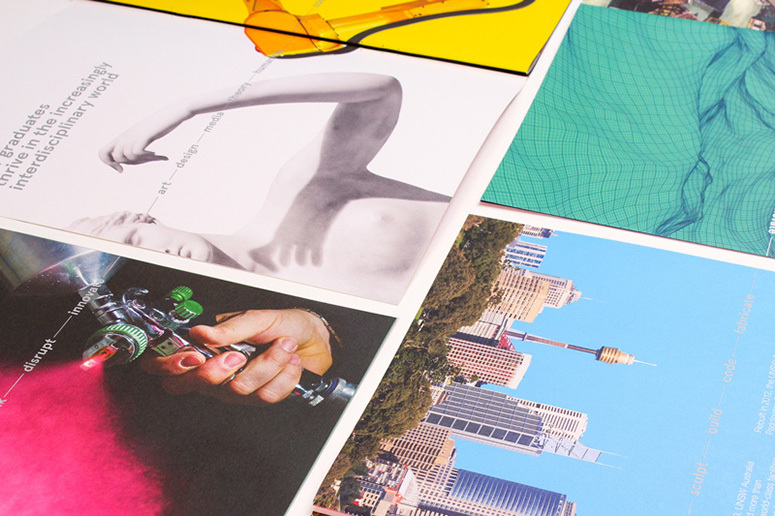 Super-colorful and printed on 100% recycled paper — with a nice touch of foil on the cover — these hip recruitment guides for Australian university UNSW Art & Design resulted in a huge boost in attendance for campus tours and holiday workshops.